Changes to your Safari Browser Settings to access eTutorWorld’s Online Worksheets and Practice Tests (on Proprofs). 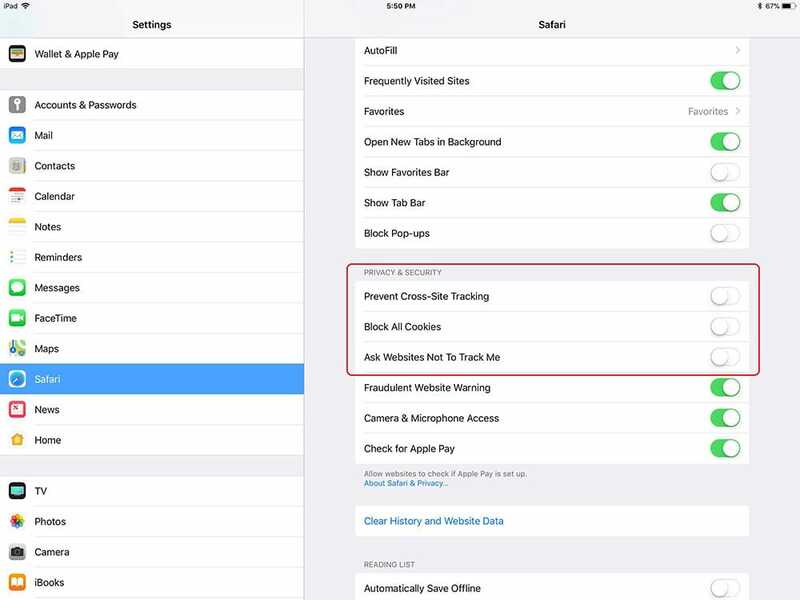 Step 1: Open iPad settings and select Safari. Step 2: In Privacy >> Accept Cookies, you can see three options ‘From visited’, ‘Always’ and ‘Never’. Make sure Accept Cookies is set to ‘Always’. Step 1: Open the quiz that is not working on Safari. Step 2: Go to Safari settings and click on preferences. Step 3: Under Privacy tag >> Block cookies, you can see three options ‘From third party and advertisers’, ‘Always’ and ‘Never’. Make sure Block cookies is set to ‘Never’. Step 1: Go to Safari settings. Step 2: Under ‘Privacy & Security’, uncheck ‘Prevent Cross-Site Tracking’, ‘Block All Cookies’ and ‘Ask Website Not to Track Me’ as shown in the image below.